This is a barred shrimp pattern used mostly in Belize for bonefish and permit. It can be tied light or dark depending on where you are fishing but the high contrast version is most popular. The marabou looks excessive but shrinks down considerably when wet. 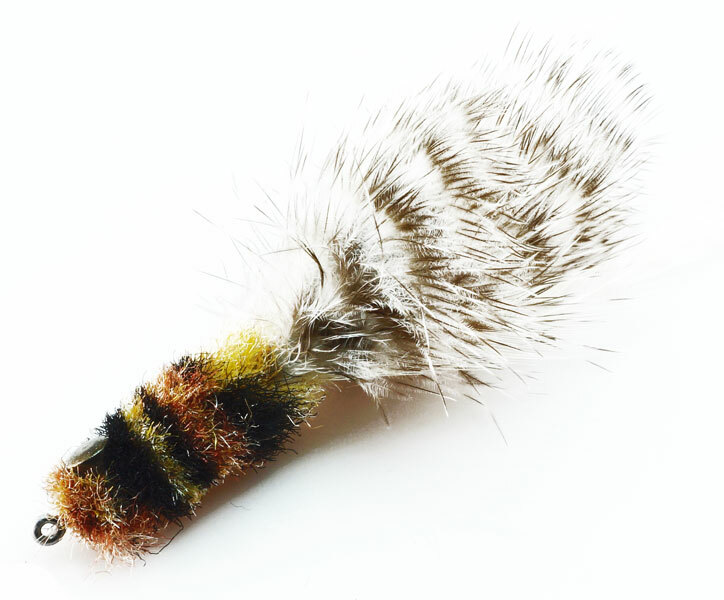 This is one of those flies that looks better in the water, which is exactly what you want in a permit fly.